THINK SOMETHING BETTER is a self-help book that explains that there is indeed a better way. A better way to improve your health. A better way to achieve success. A better way to make more money. A better way to find love and happiness. A better way to live. A better way to think. 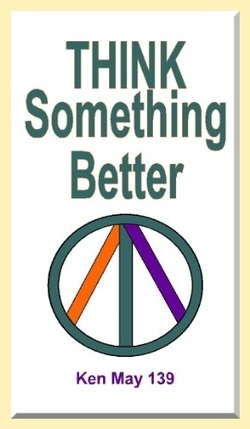 To order your very own copy of THINK SOMETHING BETTER, click on the cover image above. Click on the image above to get the hard copy version of this revolutionary self-help book. Click on the image above to get the Kindle version of this revolutionary self-help book. 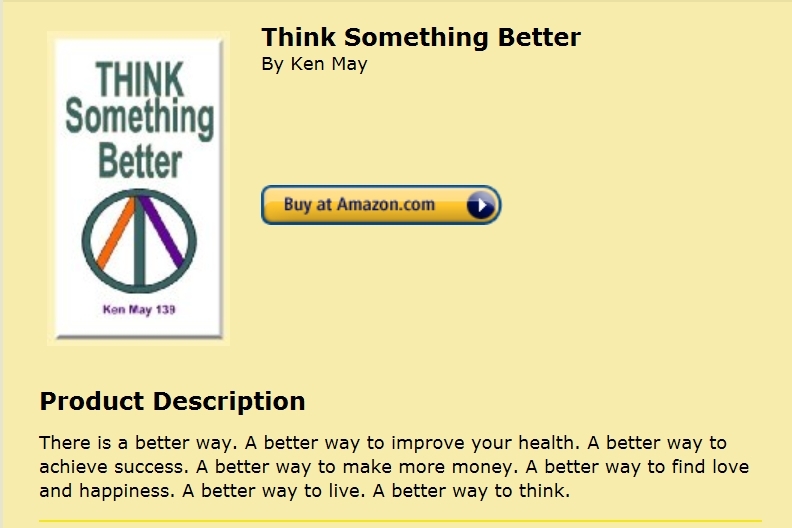 Except where otherwise noted, all of thinksomethingbetter.com is copyright 2013 Ken May 139. For more information, click here to send an email.